Violet Paget was born in France on 14 October 1856, at Château St Leonard, Boulogne, to British expatriate parents, Henry Ferguson Paget and Matilda Lee-Hamilton (née Abadam). 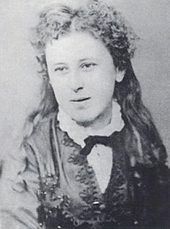 Violet Paget was the half-sister of Eugene Jacob Lee-Hamilton (1845–1907) by her mother's first marriage, and from whose surname she adapted her own pseudonym. Although she primarily wrote for an English readership and made many visits to London, she spent the majority of her life on the continent, particularly in Italy. Her longest residence was just outside Florence in the Palmerino villa from 1889 until her death at San Gervasio, with a brief interruption during World War I. Her library was left to the British Institute of Florence and can still be inspected by visitors. In Florence she knit lasting friendships with the painter Telemaco Signorini and the learned Mario Praz, and she encouraged his love of learning and English literature. An engaged feminist, she always dressed à la garçonne. During the First World War, Lee adopted strong pacifist views, and was a member of the anti-militarist organisation, the Union of Democratic Control. She was also a lesbian, and had long-term passionate relationships with three women, Mary Robinson, Clementina Anstruther-Thomson, and British author, Amy Levy. She played the harpsichord and her appreciation of music animates her first major work, Studies of the Eighteenth Century in Italy (1880). In her preface to the second edition of 1907, she recalled her excitement as a girl when she came across a bundle of 18th-century music. She was so nervous that it wouldn't live up to her expectations that she escaped to the garden and listened rapturously through an open window as her mother worked out the music on the piano. Along with Pater and John Addington Symonds, she was considered an authority on the Italian Renaissance, and wrote two works that dealt with it explicitly, Euphorion (1884) and Renaissance Fancies and Studies (1895). Her short fiction explored the themes of haunting and possession. The most famous were collected in Hauntings (1890) and her story "Prince Alberic and the Snake Lady" (1895) was first printed in the notorious The Yellow Book. She was instrumental in the introduction of the German concept of 'Einfühlung', or 'empathy' into the study of aesthetics in the English-speaking world. She developed her own theory of psychological aesthetics in collaboration with her lover, Kit Anstruther-Thomson, based on previous works by William James, Theodor Lipps, and Karl Groos. She claimed that spectators "empathise" with works of art when they call up memories and associations and cause often unconscious bodily changes in posture and breathing. She was known for her numerous essays about travel in Italy, France, Germany, and Switzerland, which attempted to capture the psychological effects of places rather than to convey any particular piece of information. Like her friend Henry James, she wrote critically about the relationship between writers and their audience, pioneering the idea of critical assessment among all the arts as relating to an audience's personal response. 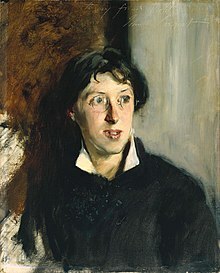 She was a proponent of the Aesthetic movement, and after a lengthy written correspondence met the movement's effective leader, Walter Pater, in England in 1881, just after encountering one of Pater's most famous disciples, Oscar Wilde. Her open resistance against World War I and her work Satan the Waster led to her being ostracized by the younger generation of scholars and writers. Feminist research led to a rediscovery since the 1990s. Much of her incoming personal correspondence are preserved in Somerville College Library. The English writer and translator Montague Summers described Vernon Lee as "the greatest [...] of modern exponents of the supernatural in fiction." Summers also compared Lee's work to that of M. R. James. E. F. Bleiler has claimed that "Lee's stories are really in a category by themselves. Intelligent, amusingly ironic, imaginative, original, they deserve more than the passing attention that they have attracted". Neil Barron described the contents of Lee's collection Hauntings thus "The stories are powerful and very striking, among the finest of their kind." Unsere Liebe Frau der Sieben Dolche / The Virgin of the Seven Daggers, bilingual (German/English) edition. Calambac Verlag, Saarbrücken 2017. ISBN 978-3-943117-92-9. ^ Paget, Violet. Letter to the author's mother, Matilda Paget, dated 14 October 1890. Special Collections, Miller Library. Colby College, Waterville, ME. ^ "Lee-Hamilton, Eugene Jacob" . Dictionary of National Biography (2nd supplement). London: Smith, Elder & Co. 1912. ^ Pulham, Patricia (2008). Art and the Transitional Object in Vernon Lee's Supernatural Tales. Ashgate Publishing Ltd. p. xi. ISBN 0-7546-5096-0. Her [Lee's] strong pacifist views during World War One earned her few friends in England. ^ a b Vernon, Mark (6 September 2010). "You have to be kind to be cruel". Society. New Statesman. Retrieved 3 January 2013. ^ Fraser, Hilary (1992). "Studies in the History of the Renaissance", The Victorians and Renaissance Italy, Oxford: Blackwell. ^ Wispé, Lauren. "History of the Concept of Empathy." Empathy and Its Development, ed. Nancy Eisenberg and Janet Strayer (Cambridge: Cambridge University Press, 1987), 18. ^ "Special Collections". some.ox.ac.uk. Retrieved 28 August 2018. ^ "She (Lee) occasionally turned to weird fiction, and earned the praise of Montague Summers who equalled her talent to that of M. R. James". Michael Ashley, Who's Who in Horror and Fantasy Fiction. Taplinger Publishing Company, 1978. ISBN 9780800882754 (p.114). ^ Neil Barron, Horror Literature : A Reader's Guide. New York : Garland Publishing, 1990. ISBN 0824043472. Colby, Vineta (2003). Vernon Lee: A Literary Biography. Charlottesville: University of Virginia Press. ISBN 978-0-8139-2158-7. Gardner, Burdett (1987). The Lesbian Imagination (Victorian style): A psychological and critical study of "Vernon Lee". New York: Garland. ISBN 978-0-8240-0059-2. Gunn, Peter (1964). Vernon Lee: Violet Paget, 1856–1935. London: Oxford University Press. OCLC 249229. MacDonald, Erin E. (2005). "Lee, Vernon". Who's Who in Gay and Lesbian History. Routledge. pp. 301–302. ISBN 978-1-134-72215-0. Wikisource has the text of a 1922 Encyclopædia Britannica article about Vernon Lee. "Archival material relating to Vernon Lee". UK National Archives.